and painful emotions from the past! by getting too angry, frustrated or sad! With 7th Path Self-Hypnosis® You Can! 7th Path® is a revolutionary approach to self-improvement. This Mind-Body-Spiritual approach to self-hypnosis is the only one of it’s kind. It is taught while actually in a state of hypnosis where you learn to re-program yourself for success by eliminating limiting beliefs and erroneous programming. 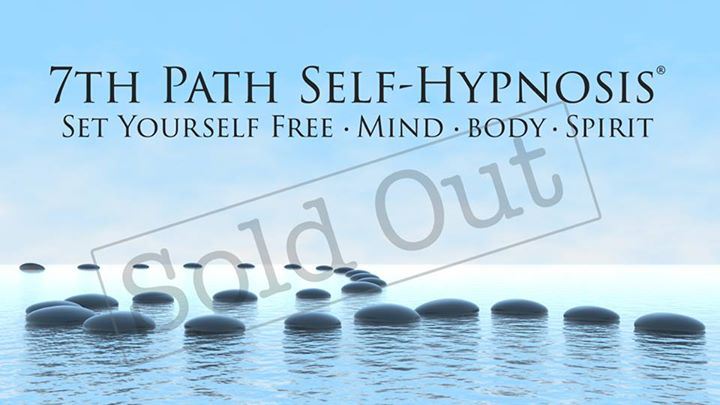 In class you will experience the power of 7th Path® Self-Hypnosis. You will master the techniques and begin utilizing them immediately to receive the benefits. You will find the process is easy, yet profound in its ability to help you move forward in your life, past roadblocks and limitations keeping you from being your best. 7th Path® is a Revolutionary New Approach to Self-Improvement. Like traditional Hypnosis, 7th Path® Self-Hypnosis can help with a variety of issues, like overcoming bad habits such as smoking, eating too much and substance abuse. It can also help you create new habits, like sticking with an exercise or activity schedule, eating healthier, and studying for exams at school. It can improve your self-image and self-esteem; make you a better partner, parent, and friend. It can help you save money, expand your thinking, and overcome fears, reduce stress, and sleep better. “I suffered from debilitating migraines and allergic reactions with no relief through traditional medicine. During class for 7th Path, I sneezed and went through almost an entire box of Kleenex. My headache was completely relieved and I haven’t suffered from allergies since.” ~M. C.
I’m Karen Hand, Board Certified Hypnotist and Hypnosis Instructor. I teach nearly all my clients this powerful and advanced, yet simple-to-use style of self-hypnosis. I also use it myself daily. It clears out the mental and emotional cobwebs that are naturally created with daily living. It also removes negative imprints from the past. 7th Path® is different from all other self-hypnosis techniques because it includes the unique benefit of being a spiritual approach especially designed to utilize your own belief system and higher power. Discover how you can begin to live the life you’ve always wanted by removing erroneous programming and limiting beliefs that have been holding you back.